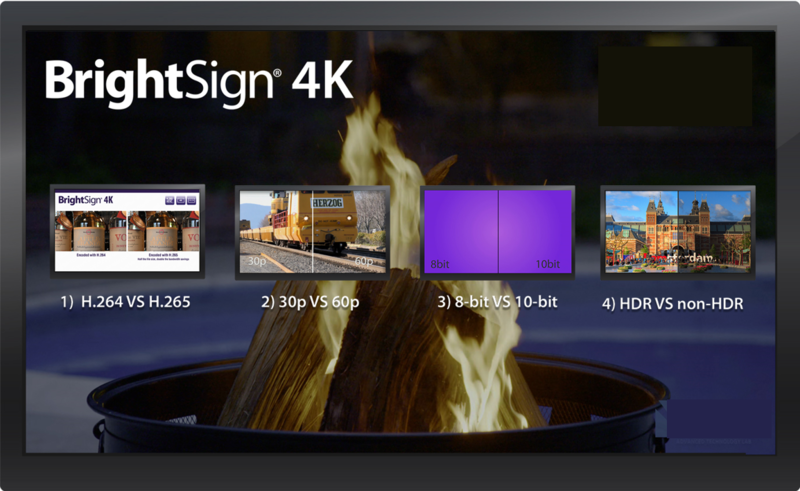 The demo presentations below provide an overview of BrightSign XT capabilities. Download the published presentation file (Ensure that the presentation is compatible with your BrightSign model). Unzip the file and copy the entire contents onto a MicroSD card. Insert the MicroSD card into your BrightSign unit and apply power. To make changes to the presentation, download the source file and use BrightAuthor to open the *.bpf project file included with the demo. 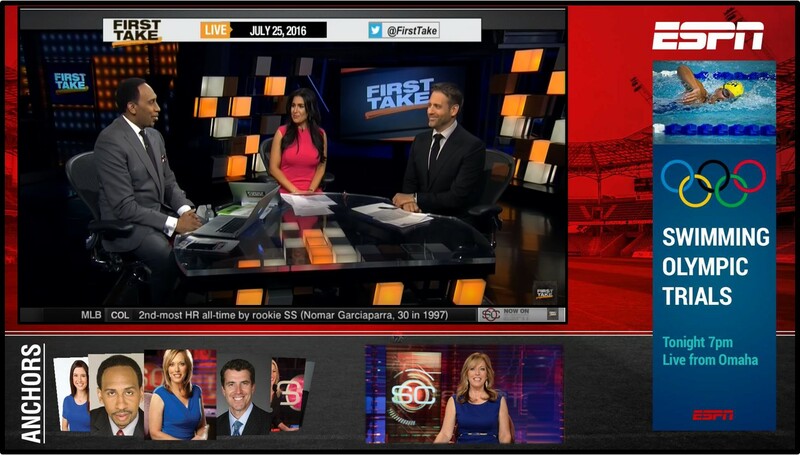 This presentation features Live TV playback via the HDMI 2.0a input, dual video decoding and an HTML5 swipe carousel. This presentation is interactive via a touch screen or a USB mouse. 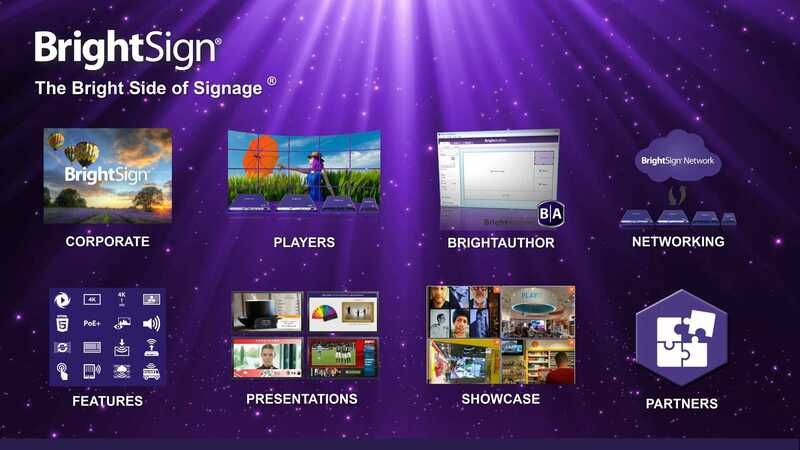 It tells the whole BrightSign story including corporate information, products, features, partners, showcase projects, and a set of example digital signage presentations that demonstrate various BrightSign features and capabilities. A demo guide is available to understand how to setup and operate the presentation. This four-zone screen layout presentation showcases video, image and two HTML5 zones playing at once. 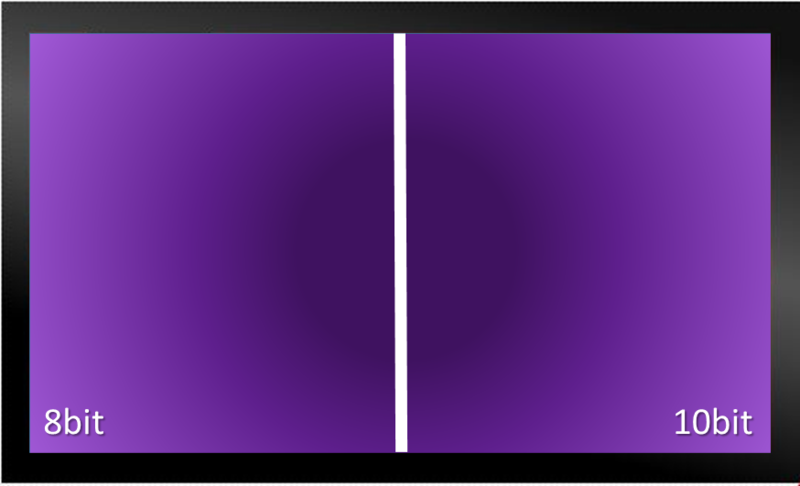 The two HTML5 zones play different real-time animated TINT social media feeds. This presentation features Live TV video from the HDMI input and a Lbar shaped HTML zone with animating images and messages. The BrightPlex demo is an example presentation showcasing the 2-way interactive BTLE and location-based capabilities of BrightSign’s BrightBeacon technology. Using a mobile device with the BrightPlex iOS app, users can control the playback of the BrightPlex demo to select and play movie trailers of their choice. This example presentation and associated iOS app were built by Sophatar using the BrightBeacon application template. Click on 'Downloads' below to download this template and develop your own solution. 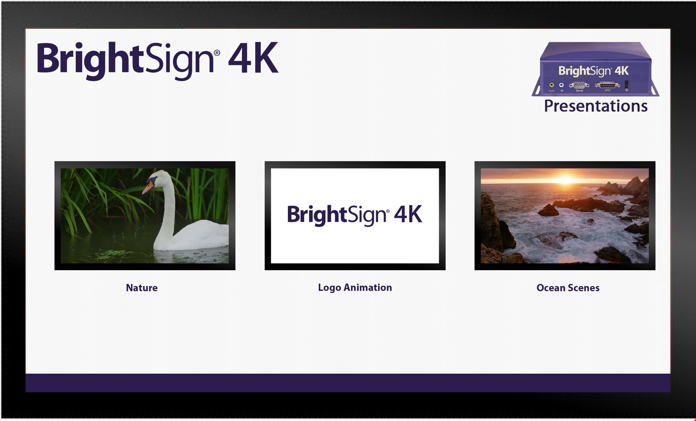 This presentation showcases four different 4K presentations that demonstrate the benefits of BrightSign 4K players. Each can be launched from the main screen using a BP200 button panel, and descriptions of them are listed below. 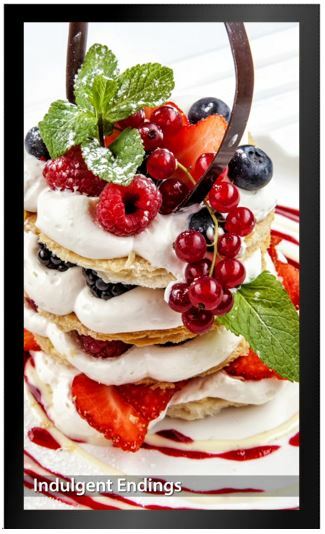 1) HTML5 4K Price tag: plays full screen 40K60p video overlaid with animated HTML price tag. 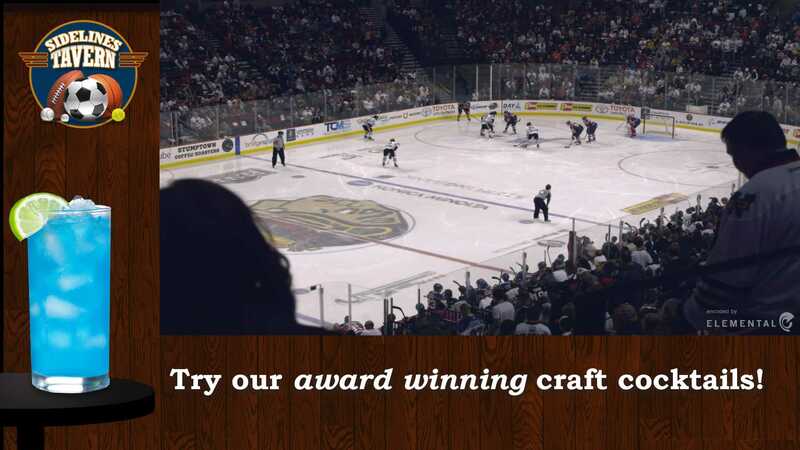 You can update price tag text with the BrightSign App. 2) H.265 vs. H.264: shows the video quality and bandwidth saving benefits of H.265 encoding. Note: This presentation MUST be played on a 4K60p screen. 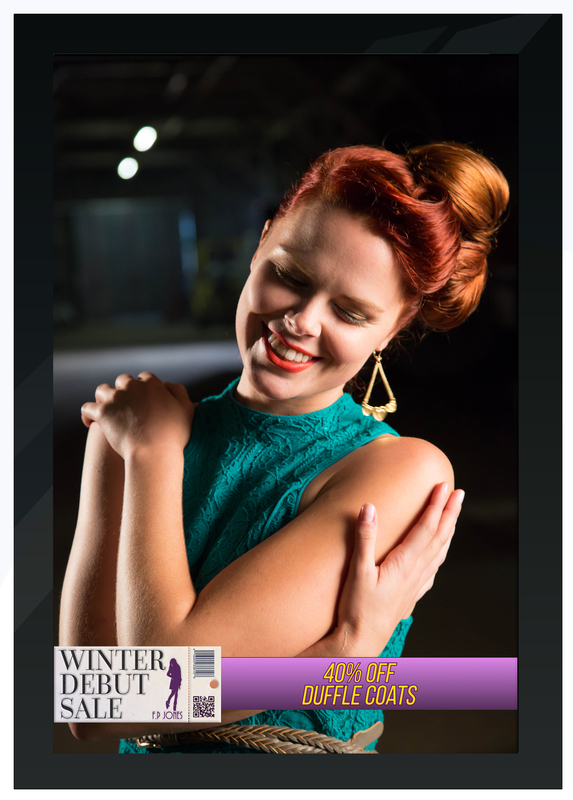 This presentation showcases dual video playback of one portrait 4K full screen video and one 1080p overlay video. The overlay video uses luma key technique to make the background transparent as it plays on top of the 4K video. 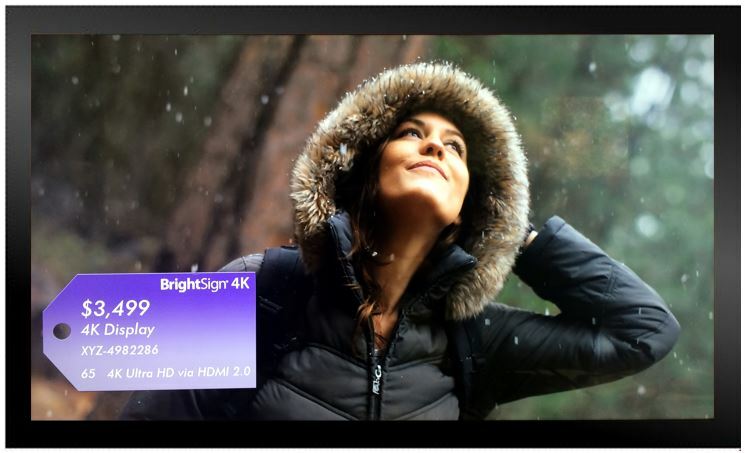 This presentation showcases portrait native 4K full screen video playback. This landscape 4K touch presentation has three touch points on the main screen, which each launch a full-screen 4K video. Touch anywhere on the full screen video to return to the main screen. This landscape presentation showcases 4K full screen video with a price tag overlay fading from one side of the screen to the other. This presentation has UDP commands and Live Text which can be updated using the BrightSign App. This landscape presentation shows a split screen view of 4K60p video playback using 8bit and 10 bit color depths side by side. Notice how the 8bit color-depth side of the screen shows color banding while the 10bit color-depth side does not. 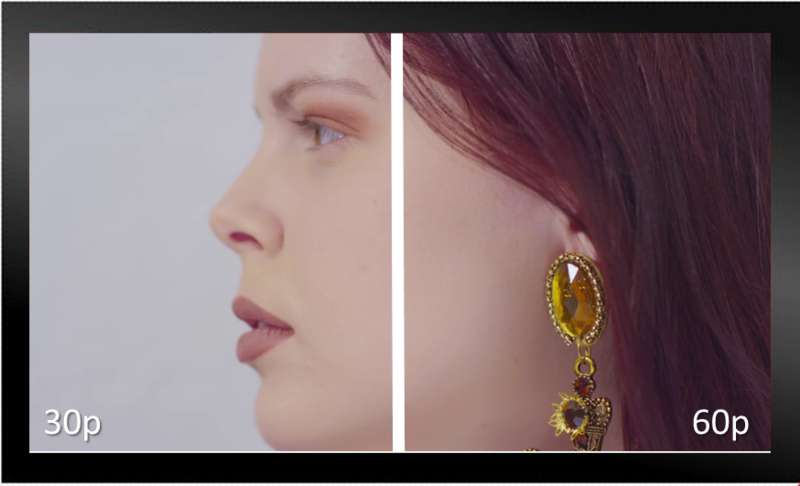 This landscape presentation shows a split screen view of 4K30p vs. 4K60p video playback. Notice how the 30p side of the screen jitters compared to the 60p side.